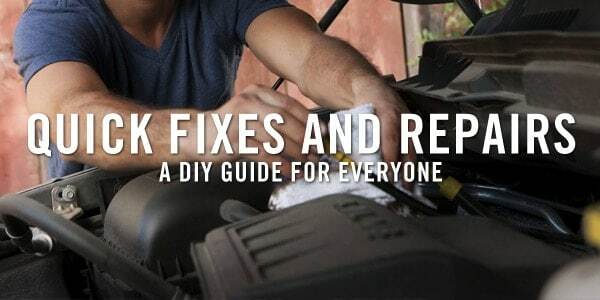 What you probably didn’t know is: A lot of common cleaning techniques actually damage your car. In this article we cover the top 10 mistakes people make when cleaning and maintaining their vehicle. Follow closely and your car will thank you for it. You will also learn how to have your car looking cleaner for longer and throughout you will save money on cleaning and maintenance. This may be the lest obvious one but it could be the one causing the most damage out there. The rotating brushes in car washes are full of dirt and that dirt will scratch your car. Not only that but the high pressure washes often cause scratches, as well as the pressure, can be too high and a lot of them contain abrasive particles in the water that do help clean your car easier but inevitably leave more and more scratches on your vehicle. Not only is it harder to spot dirty streaks in direct sunlight but the immense heat will cause the water you are using to clean your car to evaporate before you clean it off and therefore leaving nasty dirt spots. We recommend to always wait for the sun to start going down or washing your car in the shade when it’s not too hot outside. All these products severely damage your wax coating and do more harm than good. Also, a lot of kitchen cleaning products and de-greasers are not pH balanced and not only would they remove your wax coating but would also damage your clear coat leaving your paint fully exposed to the weather and outside particles during driving. After using dish soap a few times your car pain will start deteriorating fast and unless protected soon it would expose your car body to rusting and corrosion. Removing any dirt from your car with just a dry towel, no matter what type of dirt, is a big mistake. In the process of removing the dirt, the hardened dirt particles will scratch not only the dirty part but the whole stroke path as you clean it. Be sure to use at least water but spray wax or any other specialized lubricant for car cleaning is best. Paper towels, old t-shirts, dish sponges (especially the rough side) or any ol’ bathroom towels. The only cloth you should ever use is a nice and soft microfiber towel. Microfiber traps dirt deeper as you clean and won’t allow it to scratch your car as you wipe it. People often start cleaning the car by first doing what the most convenient for them… that would be the doors, sides and the hood. The hardest part to wash as its hard to reach by hand completely is, of course, the roof. If you leave the roof for the end, no matter how good you clean the rest of your car, all that dirt from the roof is gonna trickle down and ruin your hard work. Most of the dirt would also transfer through your cleaning towel and as the roof is the cleanest it makes sense to start at the top. Even if you rinse off the dirt that falls down from the roof to your previously cleaned parts of the car, dirt particles are still going to stay and they will make it easier for more dirt to build up faster. It’s common understanding to clean your car in a swirling/round motion, but it’s actually not correct. When doing so, you’re more likely to see scratches at different angles. So instead, pick a direction and stick to it. We recommend going from front to back. Front of the car, to the rear of the car. This is a basic that 90% of people get wrong… If you are soaping and rinsing in the same bucket you are starting to do harm after the first rinse. The dirt will just circulate and will embed itself in your wash cloth. Not only do you risk damaging your paint you are also wasting your time as just rinsing in the same bucket takes more time and makes you slap the dirt back on your car so you have to rinse it after again. We had to be clear in the title on this one as so many people do it not realizing how bad it really is. There is no 5 second rule when it comes to sharp dirt particles, they will embed themselves in your cleaning towel in an instant and if you pick it up you may as well wash your car with razor blades (note: do not wash your car with razor blades). If you don’t have more cleaning microfiber cloths on hand its always best to go to the kitchen, wash it completely and only then use it on your car again. Anything that makes your car controlling parts slippery is just a plain bad idea. It won’t help as much as it can hurt and that is our guarantee so just plain don’t do it. Danny is one of the Co-Founders of AvalonKing. Often described as the "geek behind the screen". When he's not working on creating a better experience for our customers, he's often found behind the wheel of classic sports cars. Your #1 post about car washes is completely false… not sure where you get your facts from but car washes don’t have abrasive materials that shoot out from any of the high pressure rinses. Also a car wash that is maintained properly and has newer equipment does not hold dirt in their brushes. This may have been the case many many years ago when most car washes used hard cloth, and failed to maintain and clean them. Nowadays most washes use foam cleaning wraps that don’t hold anything and all the dirt is washes off the vehicles. Hi. From our research and feedback from many of our customers and peers, we undoubtedly see that a majority of car washes are not adequate at all. I am not saying that yours is like that but this is a general risk that is very real and common so when we are talking in general, we can’t recommend a contact car wash to anyone. I do know personally of certain high-pressure washes that boast on having micro abrasive particles in their cycles as well, this is again a general concern that we have to convey to our readers and customers. 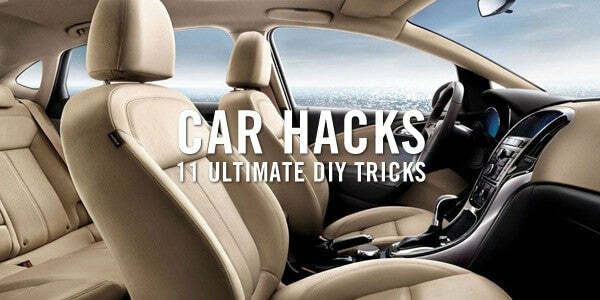 Always buy white Volvos and was in auto wash and with scrap rags and laundry detergent if I diy. Volvo paint must be tougher than some other brands because my car looks awesome no matter what I do. I do wax 2x a year. Showroom looks after 248000 miles and just bought another. I always clean my car in a swirling motion and I just figured out it is the worst way I could have done it, anyways I will definitely keep a check on in it from now. Thanks, for the article. I have to agree with you when you said that towels need to be replaced if they ever fall to the ground because the rocks embedded in the fabric can cause problems for the car paint. I learned that the hard way when I caused multiple tiny scratch marks on my car hood. I do not want to make the same mistake again, so I will leave it to the professional car cleaners. Surely they do know better than I do. I had no idea that it was a bad idea to clean your cars in the sun. It is important to understand that doing some research can help you get your vehicle looking great. I can see how anyone looking into this would want to check with a professional for better results.